As travel winds up and 2018 winds down we hope you are all getting excited about the 2019 ESIP Winter Meeting. I encourage you to submit to our call for sessions (DEADLINE: Friday, November 16th)! This is YOUR chance to drive the meeting agenda and be part of the preeminent meeting for Earth data technologists. Also if you haven't registered, you can do so here. REMINDER: ESIP Education Committee is hosting its monthly Out-to-Lunch webinar today titled GPS-STEM curriculum – Engage your students in real-world applications of STEM concepts inspired by GPS. Login details can be found on the ESIP telecon calender here. Through this Request for Proposals (RFP), the ESIP Lab will provide seed funding for incubator-style projects. Incubator projects run 6-8 months and lie in the realm of good ideas ready to be tried out. Project budgets should not exceed $10,000. We have identified the following topics as areas of need in the Earth science community, and for this RFP, project proposals that address these areas will be given priority. Modernization of Earth science workflows using open source, machine learning and cloud computing. 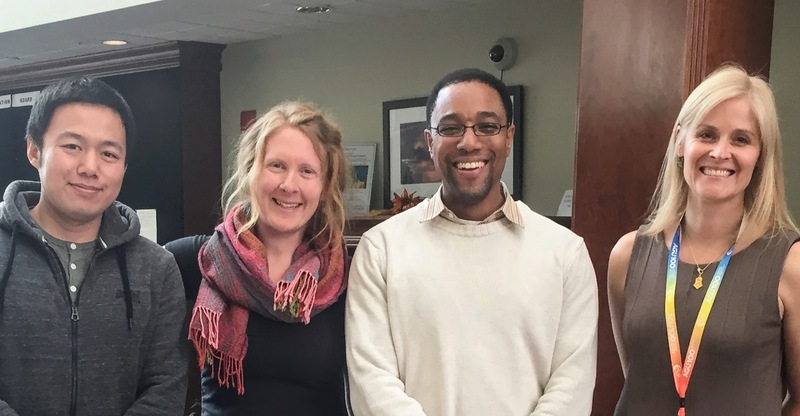 Projects expanding Science Gateways Community Institute outcomes. Projects relevant to the Midwest Big Data and Innovation Hub. Real-time sensors are increasingly being used for scientific analysis and discovery in earth science research. The Internet of Things (IoT) concept describes an environment in which small, inexpensive sensors become ubiquitous and stream their data to the Internet in real-time. However, sensors used for scientific research purposes require additional sophistication due to issues surrounding standards and metadata requirements, spatial and temporal coverage, data quality considerations, measurement specifications, and geolocation information. 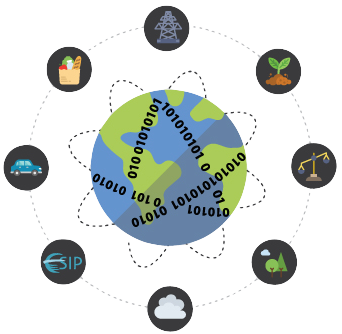 To address the IoT, an NSF-funded project called “Cloud-Hosted Real-time Data Services for the Geosciences” (CHORDS, see chordsrt.com) was proposed and funded in 2016 to explore the use of real-time data in a scientific context. The SensorDat ESIP Lab project is working on 1) extending the use of CHORDS to real-time data streams that are outside of the traditional NSF Geosciences domain, including new varieties of sensors that take advantage of IoT miniaturization, and 2) developing advanced workflows focused on automated data quality and data quality annotation and/or correction. Eleven earth-science focused projects recently participated in an ESIP-supported Science Gateways Community Institute Bootcamp held at NCAR in Boulder, CO. Of that group, three were ESIP Lab-funded projects included GeoWeaver (PI: Ziheng Sun), ESIPhub (PI: Keith Maull), and Water Mesh (PI: Christina Bandaragoda). By the end of the Bootcamp, teams had developed a value proposition, a working hypothesis of their sustainability strategy and identified the key action steps to get there! It was a fantastic experience for all. Learn more about how your project could participate in the next SGCI Bootcamp here. 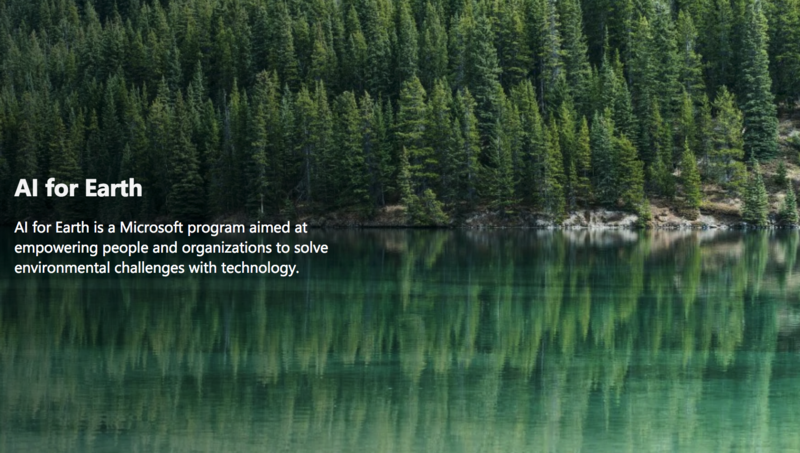 AI for Earth awards grants to support projects that change the way people and organizations monitor, model, and ultimately manage Earth’s natural systems. Depending on project need, our grants can award Microsoft Azure cloud computing resources (including AI tools) and/or data labeling services.